FrankenMudder The “FrankenMüdder” was created to support Michigan’s Military & Space Heroes Museum, a one-of-a-kind museum dedicated to telling the stories of Michigan men and women who have answered their country’s call, sometimes paying with their own lives, to defend our freedoms in time of war or to explore beyond the boundaries of Earth. Military/Veteran for $35. Prices after shown above TBD. 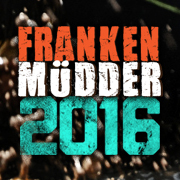 The Frankenmüdder is a 3-mile “boot camp” style run featuring 18 challenging obstacles – some more formidable than others- that involve climbing, running, crawling, swimming… and of course MUD. We will have key check in but that is all. We will not have lockers for bags. 5-Person Müdder Team Registration will be available! Teams must consist of 5 members to qualify for team rate. Please see our obstacle course race discount & promotion page for all the latest discounts, promos, promotions, discount codes, and coupon codes for Frankenmuth Michigan FrankenMudder 2019. There also may be one listed at the top of this page.